The perfect symbiosis of aesthetics and functionality is the key note of the latest edition of the GROHE reference book entitled “Water Enjoyment – Sustainable Quality, Technology and Design 2012”. This approximately 230 page book presents a selection of exceptional projects and properties fitted with GROHE products. From hotels, commercial developments and residential buildings to sports and leisure centres to healthcare, educational and academic facilities - what all these properties have in common is a distinct architecture and a focus on resource-efficient high-tech solutions for modern bathrooms and kitchens, high-quality materials and innovative design. 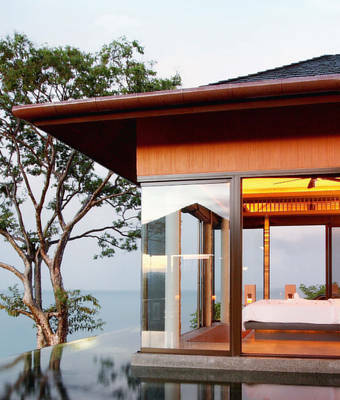 Be it Phuket’s luxurious Sri Panwa Resort, the multifunctional Eden Park Stadium in Auckland, the medically advanced Harley Street Clinic in London or the resource-efficient EQWater office building in Issy-les-Moulineaux - all projects and properties illustrate the wide scope of GROHE solutions. In addition, the book explores the exciting challenges faced by architects in the 21st century through exclusive interviews with such renowned architects as Juergen Mayer H. from Berlin or M Moser Associates from New York. Published in German and English by Braun Publishing under ISBN 978-3-03768-078-0, the reference book entitled “Water Enjoyment – Sustainable Quality, Technology and Design 2012” retails at EUR 39.00.